A screenshot of the hacked NBC News Twitter feed. Click for larger. 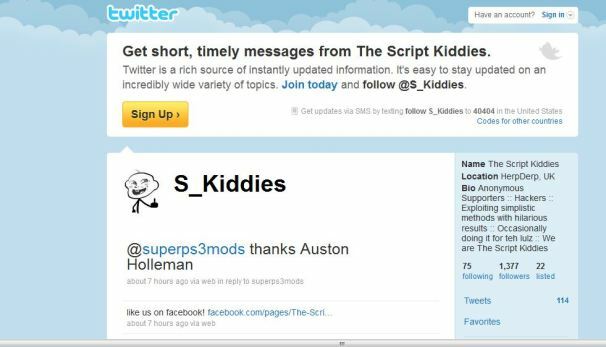 A cached version of the Script Kiddies Twitter page that was suspended shortly after the NBC News Twitter account was compromised.